Get started by viewing the floor plans from all 10 of our premium town homes. Our detailed floor plans allow you to plan and decide how a Vantage Townhome can fit your life style. We've compiled a list of local amenities, schools, attractions and entertainment. 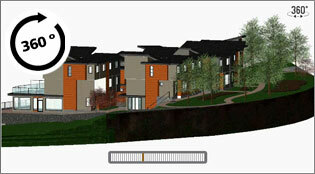 See how the Vantage development is an ideal location, central to many areas of greater Victoria. Learn about the quality of the Vantage Development, and what makes it unique. Immaculate interiors to stunning West Coast contemporary exterior, Vantage has it! Take a look at our 360 degree tour view the entire Vantage Development. Hi-res renders of the completed development are also available.